Richard Nathaniel Wright (September 4, 1908 – November 28, 1960). The news of Richard Wright’s death from “natural causes” in Paris, in 1960, at the age of fifty-two, was received by many of his friends, colleagues, and fans with great suspicion. Those who spent time with Wright in the months before his passing expressed doubts about his death from cardiac arrest given the fact he had no history of heart problems. 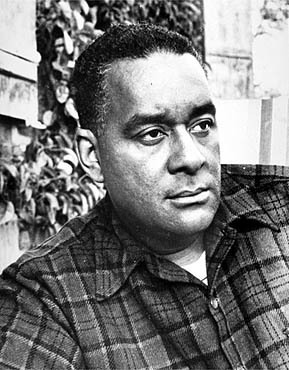 Seven years later the speculation about Wright’s demise increased dramatically when African American writer John A. Williams published his brilliant novel “The Man Who Cried I Am.” Williams’ book told the story of Wright’s ex-patriot years in Europe through the life of a character named Max Reddick and offered the controversial theory that Wright was murdered by the CIA. It also presented the details of what Williams referred to as the “King Arthur Plan”—a secret U. S. government act which included legal provisions for the mass incarceration of African Americans in concentration camps by the military in the event of civil unrest. The “fictional” plan was based on the McCarran Internal Security Act, which at the time was a little-known U.S. federal law with broad provisions for the emergency detention of U.S. citizens. The law also required Communist organizations to register with the U.S. Attorney General, and is noteworthy for providing the legal basis for the revocation of Paul Robeson’s passport to prevent him from traveling abroad. Parts of the act have since been repealed. But Williams’ treatment of this subject in his novel became the focal point of a national program for political education in the seventies conducted by “black” activists in inner cities across the U.S. The Black People’s Topographical Research Centers, of which I was a part, provided “Top Tours” (three hour lectures) that presented a comprehensive overview of the McCarran Act and other policies, programs, and plans designed to protect and maintain the infrastructure and status quo of white supremacy in the United States. Ironically, this black think tank and its mission came about in part as a result of the mysterious death of Richard Wright. One of the most provocative articles about Wright’s death was published in Ebony Magazine in February 1989. “The Mysterious Death of Richard Wright,” written by the late poet and novelist Margaret Walker Alexander, provides a literary insider’s perspective on the controversies and rumors that followed Wright’s demise. It is definitely worth the read. This entry was posted in Books and tagged John A. Williams, Margaret Walker Alexander, McCarran Act, Paris, Richard Wright, The Black People's Topographical Center, The Man Who Cried I am by Ourstorian. Bookmark the permalink. A very provocative post, this morning! I immediately went in search of my copy of Wright’s “The Man Who Cried…”, among my collection, a piece which I have not consulted for many years. While looking among my many books (alphabetized by author), I also came upon my collection of Ivan Sertima writings which I have been thinking of lately. What a nice adventure in study for me today! Thank you, as always! “The Man Who Cried I Am” has always been a favorite of mine. In fact I think of it as one of those “life changing” texts. I have a hardcover first edition of it and three other first editions from John A. Williams. Unfortunately, none are signed. I knew Van Sertima and had a chance to see him a few times in recent years as he was succumbing to Alzheimer’s. He was a brilliant man. It was really hard to see him in decline. But we all take comfort in the example he set for us as a scholar and the tremendous legacy of work he left behind. After reading this post I ordered a copy of the book, which has arrived, and I am spending my summer holiday reading it. It is a very hard book to put down, except to simply stare off in thought and contemplation, then pick it up again. Kia kaha. Forgive my very tardy response to your comment. I was so busy with end-of-the-year stuff that I fell behind in dealing with “Ourstorian.” I want you to know that I appreciate you taking the time to support this blog, and value our communication. I am interested in your thoughts on the book. I am always ready to talk about books, especially those that I consider “life changing.” I hope you are having a wonderful summer in Aotearoa. And although it’s a bit late: Ngā mihi o Te Tau Hou ki a koutou katoa. No worries and best wishes for a peaceful New Year to you. Summer has sort of hid from us at the moment, though in my now two decades here in Aotearoa it seems summer more and more moves into Feb. rather than over the holiday season. My summer trip into the mountains turned into waiting out winter like southerly gale force winds, cold and even snow until after two days I just gave it up to try another day. My wife and I have now both read the book, and I am passing it onto to our fellow blogger from Turangawaewae as well. As I wrote above it was a book that I had to read slowly, put down and think things through a bit, then resume. I will probably have to read it again as well. As a middle age white male it sort of grabbed me by the shoulders and shook me hard. It is the real meaning of white privilege. The day to day freedom from those shadows I never even have to think about should I choose not to. As I prepare with my wife, and youngest son, to join the He Haerenga ki Waitangi 2012 this next weekend so many of William’s words echo within me. It should be a very interesting weekend for all of us, and as a manuhiri to this land which is so deep inside me I feel honoured to be invited. My mother was related to the Wrights of Mississippi and Tennessee. She was Mrs. Catherine Elizabeth Wright-Peabody, daughter of Mr. Bosey Wright, and wife of hon. Albert D. Peabody.